Below you can read testimonials from people who have attended Tina Shaw’s Reiki Evolution Reiki training courses in London (Loughton). “What can I say, I don’t know where to begin, so here goes: Reiki Evolution is a great way to be trained in Reiki. The Manuals, cds, video and other materials are absolutely fantastic and are a great way of learning and understanding at ones own pace. I really enjoyed reading the manuals and listening to the cds Audio/Meditations in combination with each other. On the RMT course the video really helped me to go through “The Western Style Attunement process”, which I was so grateful for. I then went through the cd a few times and managed to go through the process with no problems when it came to the live course. I love Usui (traditional Reiki) and just picked up the empowerment process very quickly, so much pleasure in having and receiving empowerments. The course content is great as I think it covers everything from its history through to the modern day. One aspect I love are the meditations, Why? I used to try meditating for years on and off but somehow I could not get what I wanted from them. Once Having listened to Hatsurei “WOW”. What a great feeling. I was hooked. In the RMT Manual the extra meditations are excellent and now form a major part of my life along with the precepts. So yes the course did meet my expectations and so much more. Tina Shaw “WOW”. What can I say, Amazing, excellent , professional, friendly, and energising trainer. Yes the RMT course was well presented and I particularly enjoyed other students being there (on Reiki 1 and 2 it was one to one with a different teacher). The energy was awesome in the group!!! I feel so proud and honoured that I had Tina as my teacher and that I trained with Reiki Evolution. Yes I will definitely be telling others about how well Reiki Evolution is, especially as I may be teaching the course at sometime. The support Reiki Evolution gives is an added bonus and the internet group is a great starting place to find so much information. I say that as I have now done quite a lot of DH and I have had great responses back. My life changed the moment my Reiki 1 manual came through the door and my live Reiki 1 course day. Im now 47 years old and I can actually say I am now happy with me and with my life. I never really understood what happiness was. I do now THANK YOU so much for showing me, Mindfulness is great when mastered. I love it. I follow the precepts which are so important. I now live my life with Reiki. Life is so much easier and healthier now. I have now decluttered my life and its Great. Everything is now falling into place when I least expect it. “The course content was very good and the course absolutely met my expectations. The manual is very clear and the CDs v helpful. Tina is an excellent and supportive teacher and made the day very inspiring. She used the time well with a good balance of flexibility and structure. I can’t think of any improvements. Keep up the good work! The purpose-built building was ideal and kept warm enough throughout the day (cold and wet outside) together with welcome herbal teas. The day seemed well constructed and I welcomed that we changed partners for some exercises. No conflict between those (like me) who wish to use it for others and any who may want it primarily for themselves. I found both the CD and the manual very helpful. Having been in daily meditation for 3+ years, I am still reviewing the rather different techniques of Reiki and have welcomed the opportunity! Overall I thought that the course content was amazingly generous. I felt the course was created with love, compassion and understanding. I appreciate the manner in which the course material is written (with historical facts and students’ experiences) and spoken with simplicity and clarity. I believe this style allows for a wide range of people to access and process the contents without difficulties. When I received the course material I did feel rather overwhelmed, especially as I was also doing the ‘conversion course’. However, this feeling quickly changed after I began to read the Shoden manual and listened to the CD. I am very happy that Mikao Usui’s Buddhist background has been acknowledged and is included in the course, as I had had a premonition that he was a Buddhist, and that Reiki had some connection with Buddhism. The course met my expectations – which were very high. I wanted to invest in a course that offered me some tools that I could use for self-healing; to deepen my personal and spiritual development and that also serves to develop my Reiki practice as a practitioner and teacher. Thanks to the rich contents of the course and the generous free ongoing support offered, I feel confident about teaching Reiki. I think the manuals, CDs and DVD are very valuable tools that offer a wealth of information, and it was very useful to receive them before the course. Using them together helped me to engage all of my senses which made it easy to learn, retain and practise the different techniques such as: carrying out the attunements and Reiju empowerments. I was fascinated by some of the exercises, especially the self-healing meditation. I enjoyed the freedom and permission given on the course to develop and work with intuition and intent. I valued the live training as it provided me with the opportunity to do the practical exercises, get feedback and share experiences with the teacher and other students. Tina is a very wise, joyful and competent teacher. Her cheerful and casual manner made it easy to listen and digest what she had to say. She kept things simple, was well organised, managed the session times professionally, generously shared her personal and professional knowledge with the group. Throughout the course I felt she valued and included everyone equally during the discussions and practical exercises. Taggart, comparing to other Reiki courses and material that I have seen, you have created a fantastic course, worth every pound of my investment. This makes it difficult to say how the course could be improved. You have included so many things, even things you do not use yourself, I respect and admire you for doing that. I have been feeling absolutely bowled over, in a kind of daze, since completing my Masters course with Tina on 1st March. It has been a really profound experience for me so far and, like you say on the CD, Taggart, I feel like I’m only at the beginning of another learning ladder. I even find myself chanting the kotodama on the way to work in the car!! I feel very lucky to have found Reiki-Evolution and the courses are very comprehensive and professional. Tina is a wonderful teacher. She brings a vibrant, fresh energy. As an older student I was terrified of forgetting things or ‘making a mistake’. I’m sure this comes from a painful experience I had as a young student when I was in an exam and my mind went a complete blank and I went into an state of utter panic!! I thought I would never be able to remember how to draw out the HSZSN symbol and when it came to the Reiki 11 attunement procedure, I thought I’d never master it. The CDs were really helpful with this and I spent lots of time at home going over the sequences. But on the day of the course the old fear crept up on me and by the time I arrived at the venue I was feeling very scared. But Tina was so encouraging, relaxed and patient, she put me completely at ease and she made me feel as though it wasn’t the end of the world if I didn’t get it perfect( that intention is everything). Of course, her approach frees you up so you achieve more than you thought you would. I did make two mistakes and she pointed them out in a way that didn’t make me feel embaressed. She then demonstrated the correct techniqueand then it all suddenly ‘clicked’ together in my mind and now I feel I’ve really got the whole process absolutely clear and I feel I can do it. This is teaching at its very best- it empowers you and moves you on towards your highest potential. It has really helped me with my confidence and in overcoming this block. Having the manuals, CDs and DVDs is great because you can always refresh yourself in the future. And when I received the certicate and the lovely gift of the precepts writtten out in beautiful Japanese calligraphy I was moved to tears. I felt like you were celebrating my achievement with me- thank you!! So a really BIG thank you to you and to Tina for all the hard work and careful consideration you give to Reiki students and their educational and spiritual needs – not to mention the follow-up support you offer- I don’t know of any other organisation that offers monthly follow-up sessions with your Master teacher – you really feel like you are part of a vibrant community of like-minded people! ”On the course itself, whilst the absence of much response from the physical senses was slightly disappointing, I have learned to accept it. It was more than compensated for when, on the following day, I was told of the impact of my distant treating on its intended recipient, who had not been previously advised. Unknown to me, she had sprained her ankle two days before and, having been scarcely able to walk on the morning of the course, was astonished when the pain disappeared at the time I sent out the distant treatment. Her specialist was similarly surprised an the following day when she turned up for treatment! I was highly impressed by the range of quality study material supplied for the RMT course – I used it all in preparation for the live training and feel secure that I have good resources when the day comes to deliver my own Master training. The CDs were quickly ripped onto an mp3 player and allowed me to make good use of commuting deadtime. One of my main reasons for staying with RE throughout all the levels of training is the clear and wide ranging content of the courses. At all times it is pragmatic and respectful of the varying needs of the future practitioner. Intuitive and open approaches encourage the student to accept a range of experiences and interpretations. I thought it would be interesting and valuable to experience more than one Reiki teacher, hence my reasons for selecting Tina who had such glowing reviews on your site. The training days were a welcoming and supportive experience delivered in a charming professional environment – Tina made the task of being tested on attunement and empowerment rituals very easy and enjoyable. Tina cheerfully and calmy responded to my many questions – it had been 3 years or so since my Reiki2 so I had mulling over a number of issues 😉 Her serenity, organisation and attention to detail was really appreciated. ”Thank you for my certificate for the Deepening Course! I had a brilliant day with Tina. Initially I had a little bit of nerves because I was going to be taught 1-2-1, however, this turned out to be the best thing ever, and I ended up feeling incredibly lucky to be taught the course this way. Tina taught me in such a relaxed but professional way, giving me lots of examples of her personal experiences to either complement or contrast my own experiences and her feedback when I worked on her really boosted my confidence. I received the course content and manual about 4 months before the course so I had plenty of time to read and practice the kotodama, hara defining exercise and intent exercises and I thought that I had learned a lot just from the manual and CD which I found be be very easy to understand and follow. I loved the frequency scale exercise. The live training actually surpassed my expectations and I learnt more about Reiki and intent than I thought possible. Chanting the kotodama with Tina and experiencing their energies was incredible and really cemented my understanding of their qualities and when and how to use them for helping others or myself. I can’t explain just how much of a difference the course has made to the way that I work, I now realise that my intention can be used in such an unlimited way and that I can just relax and trust Reiki to do whatever’s required in any situation. I also feel so much better equipped to go onto the Master level when the time is right for me. I absolutely loved the course and think everyone should take it!!! “Tina was excellent, professional, and all the warm things said about her on the web site are true. It was a cracking day. The empowerments were everything I’d hoped they’d be and more. I was deeply moved by them. The day ‘flowed’ well, like all things do when I am in the zone. The greatest thing for me is how so much now makes sense when viewed through what I’ve learned from Reiki. Not in a scientific or rational sense but in a dynamic, right brain, intuitive sense. ”I enjoyed the course because putting all I learned into practice in a group brought it “alive” in a way I had not previously experienced. In particular, chanting the kotodama was very powerful. This experience of the ‘live’ training was only possible because of the preparation we were able to do with the course materials which were excellent. Learning the attunement procedure was daunting but the way we worked with Tina on the day consolidated all the learning and it was quite a moving experience. Having a variety of resources to learn this was excellent. I found the DVD very useful and watched it over and over again before I looked at the other resources on this one – excellent aid to see the processes carried out. Working with intuition has helped me overcome some personal obstacles and given me more ‘faith’ – the power of intent is overwhelming. The manual is excellent – comprehensive and clear. I like the way origins are defined, Usui’s teachings are emphasised and practices outlined. However, it is also good to have other symbols and insights to observe/practice. the course has given me confidence and understanding, plus a system, methods, meditations to develop myself. Now I feel I have an ‘uncluttered’ system I will be able to offer as a professional practitioner without being too ‘New Age’ and frightening people away! Accessibility to more people is the key thing. “From my initial enquiry, booking and attending the course I was very impressed with the professional and friendly way I was treated. The course inspired me and I feel so in tune with the energy and feel well prepared to work with others. Thank you. I found the course materials absolutely BRILLIANT. They were invaluable in preparing me for the course. They were well written clear and easy to follow. I would recommend them to others. After using both the manuals and cd’s I can understand how Reiki can be learned by home study. “I really enjoyed my Master course, I was so nervous on that first day afraid I would end up with a blank mind forgetting everything I had learned from my course work which I had had for 6 mths, but Tina was so reassuring and gave you such confidence you finished the course on such a high, the meditations that we did and the kotodama just makes time stand still. The Master meditation is amazing I do that every day with the hatsurei the energy where does it come from! “Once again I found the course really good. The study pack beforehand, and Tina’s wonderful help, tuition and support on the day and ongoing support afterwards as well. It is great that you keep the course to the simple basic Reiki teachings and principles, and I have found that I add things of my own in my own practice, which help to enhance things for me. I think it is good to keep the teaching simple and as pure as possible though, in the way that you do. Although instinctively, I change and tweak and do some things slightly differently now, this is personal to me and works for me, and although one can share these things, I think it is important to keep personal practices out of passing etchings on then everyone can find their own way which works best for them, without losing anything from the original teachings. I have heard of some very bizarre things taught and passed on to Reiki students. I think on completion of Reiki 1, one cannot wait to do Reiki 2. However I feel with Reiki 2 it is like passing your driving test – you can do it, but it is with time, practice and experience that you become confident and competent in your work, so although I will do the next level, it will not be for a while yet. I love your courses because they deliver the tools to the student, and the rest is up to us. You do not teach in a dogmatic way, which is so refreshing. It is very non-judgmental, and humble – you don’t run other courses down, or make ridiculous claims. It is very matter of fact, and down to earth and you just deal with the facts with an open mind – which is great. You make everyone feel that this isn’t just for the chosen few but for everybody, which is good too and builds confidence in a person. “Tina was an excellent course instructor, who has very calm and gentle manner and took us through the day at a pace that suited both myself and the other attendee. She was clearly very knowledgeable and was able to address any questions or concerns, not only from this course but previous course and ongoing issues. She was also very hospitable and the room which she uses was ideally suited. I would be very happy to travel to her for further courses and as you know have booked some with her. “First of all, I would like to thank you for the certificate and the wonderful gift of the precepts in Japanese language, it is going to became very special to me… I thoroughly enjoyed the Masters course with Tina and would like to thank her for all the hard work she did with us during the course. The course is very well organised. I loved the idea of doing it in two Saturdays with a week apart. It helps to digest everything and focus on the course only. It also gives time to think of any questions you might have. “I recently completed module 1 of the Five Elements Practitioners course and had been looking forward to this course as I particularly wanted to learn how to recognise intuition as I never seemed to sense anything whilst giving Reiki treatments. Virtually every individual I have treated has felt the benefit of Reiki but I had never been able to sense any intuition and this has been gnawing away for a number of years. Tina Shaw, Reiki Master, was encouraging and positive and assured me that everyone has this ability. By the end of the day I am delighted to say that I succeeded thanks to Tina’s persistence. This aspect alone achieved my expectations and I want to thank Tina for a wonderful day. The course work book was excellent, easy to understand, informative and gave a very good insight into Traditional Chinese Medicine (TCM). However for Reiki Practitioners there is no need to delve deeply into TCM which in itself is a very complicated subject on its own. The Five Element Reiki instruction manual will widen the skills of Reiki Practitioners particularly in detecting imbalances in the Hara and the Chakras using different techniques for example scanning, the use of a pendulum, and visualisation techniques. Although I have to add that I was uncomfortable using palpation and will not use this technique. The beauty of these techniques is that they are non invasive and can only benefit the individual receiving treatment as a result I am now going to add these new skills to my Reiki treatments. Sending the course manual prior to the training day allowed me to learn a lot about the Five Elements material which helped to smooth the way the day was conducted which meant that there was little need for Tina to have to stop and explain things. “First of all, I have to say that Tina was marvellous. She had four quite different women in her master class with varied experience in Reiki and quite diverse backgrounds. Tina handled this really well and then on the second day, through Tina’s feedback, we discovered that what we had in common was our energy, we all complemented each other and we produced a lovely serene place in which to receive and give our first empowerments. Although we had all enjoyed the Western Attunements (ANY Reiki is great), the ritual was involved. I was lucky in that I knew some of the process but in the end it was quite different from my first course except in the important elements which were gratitude for what we were sharing and the wonderful flow of energy that blessed us. However, on the second day, after we watched Tina do her empowerments of us, we all felt the energy being generated and we all felt part of it. For us all, the room felt amazing and each of us had wonderful synergistic experiences with our empowerment from Tina and each other with many commonalities in our feedback plus our own individual ‘bits’. Incidentally, while I think about it, I love the distinction of Master Teacher (on my course certificate) from Master (on my first master course certificate). I am okay with the Master Teacher title and but uncomfortable with being known as a “Master”. Content and materials: The course content was very good. A major difference between this course and my first “Master Teacher” were the materials sent in preparation for the face-to-face interaction with Tina. They were helpful but very ‘full on’ if you really took what was in them to heart and did the exercises with commitment and focus. As I had not done my first two Reiki courses with Reiki Evolution I was provided with the materials for these courses as well so that I could do the bridging necessary to get the best from the Master Teacher course. The materials for these two courses were excellent also, but you can imagine how overwhelming all this material was. I had only a few months to complete it all and in those months, I was working on two major contracts to be completed by May and then going on a major holiday overseas from my home here in Perth. I found that I was listening to the course material in our drives from one destination to another and reading the material at night. I also had to do my meditation practice each day which I did in the morning before we went and did our ‘holidaying’. The CDs were particularly helpful because I could listen to them in the car and could do that more than once so things sank in well. The manuals were very detailed and I have found them to be an excellent resource for questions and to brush up on content or processes associated with a very large variety of modalities. I am really grateful for the breadth of the coverage even though you yourself don’t practice them. It is great to meet someone who really does ‘walk his talk’ so thanks for that. I loved the Kotodama and find that I am moved to do these or use the symbols idepending on the circumstances. I love sound though and so the Kotodama are my preferred modality for most things. I thought that the video showing us how to do the attunement and the empowerment were also most helpful and I watched them quite a few times prior to the course and will also use them to keep my memory refreshed, particularly for the Western style attunement. Somehow the empowerment ritual comes naturally to me and I find it easy to remember and a joy to do. Expectations: I expected the course to be a fabulous experience and it was. I had hoped to learn and expand my knowledge of all things Reiki and to meet some new Reiki ‘mates’ and that happened too. Other than that, I had no expectations, as I really didn’t know what to expect. I knew that I really wanted to do the Reiki Evoluation version of Reiki, that I found the approach sympatico and from that point of view, I guess I expected things to flow easily and they did. My ‘live’ teacher – Tina Shaw: Tina paced the days well and time flew by. We had just the right amount of social interaction, practice, experience and sharing, I thought. Tina was very open to questions and I found it easy to ask what I wanted to know. I am sorry that I am not closer so that I can take advantage of the very generous Friday follow-up sessions Tina offers her students as I have other questions that I would like to discuss and also, of course, be in the presence of a Reiki kindred spirit. Home Study: Well without the home study bit, I just couldn’t have participated in the Reiki Evolution courses because I live in Australia and was only going to be in the UK for a short time. However having said that, there is no substitute for the face-to-face interaction that happens when you go to a course with other people. Obviously home study is light years better than having no Reiki course at all, but the live courses would be my favourite. I do like the course materials being sent to us to prepare though. I am looking forward to joining in the interactions on the website and to introducing the Reiki Evolution concepts to my Reiki friends here in Perth. Already one of my Reiki Master Teacher sisters wants to experience an empowerment simply from my description of it…so there is plenty of work to be done here and I am eager to get and do it. “The Reiki Master Teacher course with Tina was excellent and I feel very proud to have now completed all three levels with her. It was good to go over some of the topics such as the Kotodamas, the energy frequency scale exercise and perceiving the chakras which we covered in the Deepening Course as well as learning how to carry out the Western Attunements and Reiju Empowerments. Tina’s teaching style made me feel relaxed and comfortable as well as enabling me learn, practice and make mistakes without feeling foolish. I came away from the course feeling confident and knowledgable. Since then I have managed to maintain a regular routine of carrying out the different meditations everyday and one of the things I’ve noticed is how strongly I can feel the energy in my hands and body when meditating or carrying out treatments hands on or distantly. Previously I had already thought that I could feel reiki strongly but that has increased enormously much more than I had expected and I’ve had some really good feedback from those I’ve treated. ”The course content was quite excellent- from the pre course study and all the materials to the actual days. This course was by far my favourite. 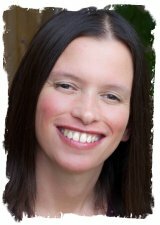 Tina is a credit to Reiki Evolution and an amazing teacher- making us feel at ease and empowering us to believe in ourselves and our abilities- she kind of brings it all to life. The course well exceeded my expectations, and as I said to the others- I feel we really, truly bonded as a group and with Tina- I just didn’t want it to ever end. I have had the most profound experience / evolution / transformation / shift than ever before. I feel something has changed and shifted in me, and it’s the start of a whole new chapter in my journey. Taggart- do not change a thing about the course- it flows beautifully and brings everything we did before full circle. As you say though, I cannot stress enough to anyone thinking of doing any of these courses- it is so important to take the time to work with the energy daily to fully benefit from the course. Even if you don’t have the time- just be mindful and aware of it and your connection at all times- that is a meditation exercise in itself- just 5 minutes here and there through the day is better than nothing. I was amazed at how my own personal intuition had developed since the beginning of my study with Tina and Reiki Evolution. I have so many experiences from the course….. I did have a bit of a deep and powerful reaction to the Master atonement though- I had to sit down on the floor after. But I feel my body is making a few adjustments that’s all. I can no longer seem to at look and process meat, alcohol and rich food- I don’t really want to give it up completely as I think a bit of everything is good for you, but I think it will have to be very occasional, as at the moment I just simply cannot seem to consume any of it at all and think it best to listen to my body. It will be interesting to see what happens over the next few months though. Although a big step up from level 2, I would say that anyone who has done level 2 and enjoys working with the energy daily and feels they have developed really MUST do level 3- it’s hard to put into words why, but it’s easy to understand after doing it. The course is simple, yet very informative- it has just the right balance. It focuses on humility and simplicity- and I really like that. There is a lot to take in, but I think it is achievable by all. “I thought the course was excellent. The course material is excellent and enjoyed working with the combination of book and CD. ”My thanks to you and Tina Shaw for the wonderful Reiki courses and for helping me to bring Reiki into my life. The course content was excellent and the content of the day and the course materials blend perfectly. The ongoing support, empowerments and networks are helpful and the course definitely met my expectations. I think the course materials are excellent and very effective learning support aids for all styles of learning. The course CDs are great and I enjoy listening to them in the car (not the meditations!). The manuals are well structured, the content is accessible and interesting, key points are reinforced and the pictures and diagrams are helpful. I enjoyed the live training, working with a teacher and other students. Tina was very welcoming and supportive. She answered all our questions and responded to our individual situations – she is clearly very knowledgeable. I honestly cannot think of how the course could be better. I love the straightforwardness of the approach and that, while there is structure and procedures that can be followed to lay the foundations of student development, there is encouragement to work with intuition and to develop this. My sense is that other courses are not as good as Reiki Evolution. ”I found the material very interesting on every level and the learning structure which you prepared was perfect. There is no doubt that quite a lot of work is required before attending the course, but there were so many different learning options that everyone would find their own way. I personally tried most of them. The learning schedule sheet was perfect to focus on the key areas for the course, but also the ‘extra’ material was excellent. I still go through the book two weeks after the course, because I want try out all the meditations and exercises provided, and would to retain most of the information. The course: I have done the three levels with Tina and I always thought she was an excellent teacher. At the master course, though, I thought I had a truly special and intense experience. First of all, Tina managed to keep us engaged for two full days, which is not easy at all. Secondly, there was a great energy in the room and I felt we were all very connected. We had such fun! Third, Tina is not only perfectly knowledgeable as a teacher but she is ready to give everything in the class, being so open about her professional and personal experience with Reiki. We had so many questions and she answered to every single one, still managing to be on schedule. At the end of the second day, we were really tired but quite sad at the same time because it was over! ”The course was excellent. Very comprehensive and taking my understanding of every aspect of Reiki to a new depth. I was so pleased at the way that incorporating the home study beforehand and the live course worked. And to my amazement, I now feel really confident with attunements and empowerments! Very good quality of materials – I love how you cater for different learning styles with the manual, CDs, cut-outs etc. Tina was great – I loved her grounded approach to the training – and she made the 2 days of training very special. I thought the course content was excellent, a good mix of background information and practical guidance on techniques. At first I wondered if it was necessary to have a distance learning pack and the face to face training, but they complemented each other perfectly and now I feel confident in my understanding of the material and techniques. The course far exceeded my expectations, I can’t praise the quality of the study material and my teacher (Tina) enough! The course materials were of a high quality and the mix of written and audio material made learning an enjoyable experience rather than a chore! ”Thank you very much for the reading materials that arrived through the post! I found them informative, useful and handy. The course was very good. As for the content, it was informative, useful and very beneficial. “I have found the course content to be in depth and to answer a lot of my questions since I had done Reiki Level 1 elsewhere and was not given a course manual, allowed to take notes or given support afterwards. The course did not just meet my expectations but exceeded them as it is simplified and easy to understand and follow unlike all the Reiki textbooks I have purchased over the years. The course manual is very detailed and the CDs when used together with the manual provide all the information required to practice Reiki on yourself and others. “Tina is a great teacher and I thoroughly enjoyed her Second Degree training day. Despite being tired and in a frazzled state of mind when I arrived, I left at the end of the day feeling calm and centred, as though I had been on a retreat. Tina created a very calm and supportive atmosphere in which we could learn and safely practice the techniques. She was very patient in answering our questions and extremely informative about everything that we might possibly need to know in the future when practising Reiki, yet somehow miraculously did not leave us feeling overloaded with information. I really appreciate the amazing after-course support that Tina generously offers to her students, and hope to go on to do my Master training with her in the future. “The course content was just right. The course met and exceeded my expectations. I found the course materials and CDs very useful, but really sank in once I attended the live day. I look forward to going through the materials again with this new insight I seem to have acquired. The live training was amazing. Our teacher, Tina Shaw, was calm, supportive and encouraging. Tina is a wonderful Reiki ambassador and I was very grateful that no question ever seemed to be too much.